Long, thin and juicy when cooked well -- it's like nature designed pork loin for a rotisserie spit. Boneless pork loin is one of the leanest cuts of the pig. While that's better for your health, it does mean the meat needs a little extra preparation. Most barbecue drums work with a rotisserie attachment, a thin metal spike that runs right through the center of the barbecue. Brining softens up the solid pork loin meat for cooking. Because pork loin is a lean cut, the brine adds extra moisture. Otherwise, you risk having dry, chewy meat. Mix 2 quarts of water, 1/4 cup of brown sugar and 1/2 cup of salt in a large bowl. This makes enough solution to brine two 2-pound pork loins, according to a recipe from Dad Cooks Dinner. Ideally, keep the bowl in the refrigerator for 8 hours before cooking. Before mounting the pork on the rotisserie, rinse off the brine, then season as required. At this stage the loin is ready for rubbing with maple syrup, barbecue rub or any other flavoring you want to add. Line the pork loin up as straight as possible on the kitchen counter. The rotisserie shaft needs to run through the joint as close to the center as possible. If too close to one side, the meat may cook unevenly. Some rotisserie attachments have an automatic turner. This keeps the meat moving at a regular pace -- much less effort than a handle that you turn manually. Close the barbecue drum lid to keep the heat inside. The temperature needs to be as low as possible. Use just a small amount of charcoal or turn a gas barbecue to its lowest setting. If the drum gets too hot inside, the outside of the pork will burn and the inside will stay raw. Cooking a rotisserie pork loin in a closed-top barbecue should take around 30 minutes per pound of pork. 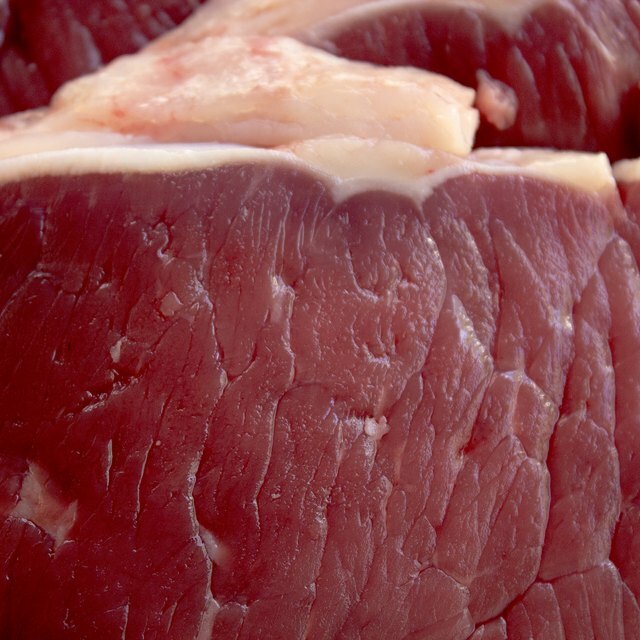 Whatever the weight of meat, check the internal temperature to make sure it's done. Barbecue pork can cause food poisoning if the center is left raw. A meat thermometer should read 145 Fahrenheit in the pork's center. If you have a long-stemmed meat thermometer, try poking it through with the rotisserie shaft so that the thermometer sticks out the end of the barbecue drum. That way you can see when the joint is ready. 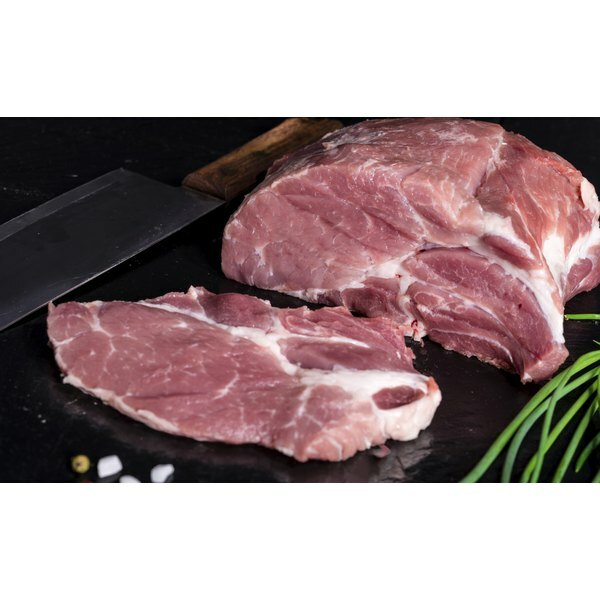 Can I Freeze Pork Immediately After Cooking?